Narrative-Based Practice in Health and Social Care outlines a vision of how witnessing narratives, paying attention to them, and developing an ability to question them creatively, can make the person’s emerging story the central focus of health and social care, and of healing. This text gives an account of the practical application of ideas and skills from contemporary narrative studies to health and social care. 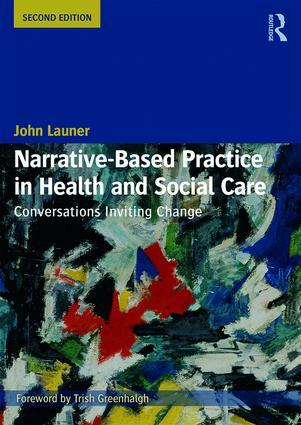 Promoting narrative-based practice in everyday encounters with patients and clients, and in supervision, teaching, teamwork and management, it presents "Conversations Inviting Change," an established narrative-based model of interactional skills. Underpinned by an account of theory from narrative studies and related fields, including communication theory and systems thinking, it is written for students and practitioners across a broad range of professions in primary and secondary health care and social care. More information about "Conversations Inviting Change" is available at www.conversationsinvitingchange.com. This website includes podcasts, presentations and further teaching material as well as details of forthcoming courses, and is continually updated with information about the approach described in this book.